Olwen has lost 10% of her body weight over winter, starting at 86 kg and is now down to 77kg. What was your reason for starting training? I'm a relatively active dog owner, cycled locally, watched my diet but I kept getting heavier. I needed an alternative to the pub after work. I wanted to cut my weight and alcohol intake. I knew Burn It to be a welcoming and fun group, so once back in Greenwich joining up was a 'no brainer'. How did you feel back then? I regretted losing fitness, the weight gain and it was a struggle to get my knees near my elbows! I felt silly as I had previously been fit and all the exercises felt really difficult. I felt tearful a few times! I was often lost in classes, but was carried by the good vibes of the group. Why did you want to make changes and how are you feeling now? I knew I would be happier and have an easier daily life with regular high intensity exercise. I had just given up a stable career, retrained and started a new job, in a team with an average age 15 - 20 years younger than me. We work in an old building with really steep stairs; I wanted to be able to talk while walking up 4 flights! Now I feel leaner and don't notice hills or get out of breath much (except at Burn It). My outlook is more positive than 6 months ago, setbacks are still frequent but surmountable. Instead of dwelling on the tough times I go to a class, generally have a laugh and forget it. What has motivated you to build on previous successes? Getting fitter and losing weight is a long, gradual journey, so I appreciated small changes and improvements and keep telling myself I've done great just turning up. The BurnIt structure of measurement e.g. 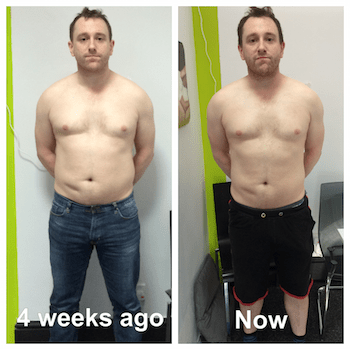 start/ end of bootcamp and 1-2-1 fitness reviews makes the progress real. I had a bad month or two, as everyone does, but it was easy to get back on track as both the Trainers and Burners only say positive things. This has been a lovely bubble of encouragement and smiles through a very challenging year. The Burn It Fitness September and January Intensity Bootcamps gave me a plan to follow and it worked both times! 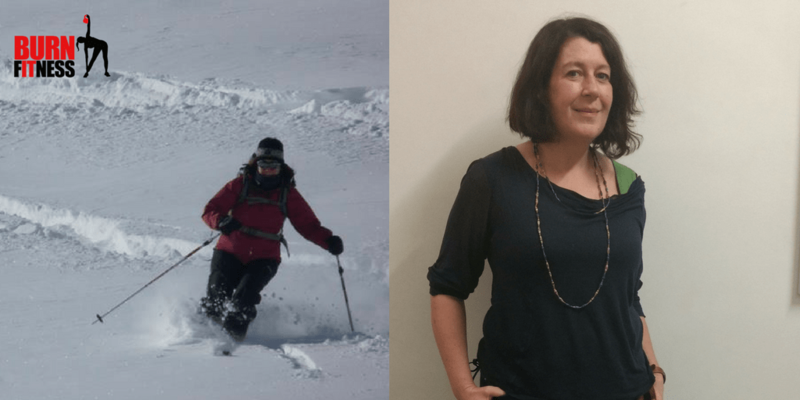 I planned a ski trip in February, then loved feeling stronger so much that I booked to go back in April, with the goal of losing more so I'd get in my favourite ski pants!!! My daughter demanded on day 2, that we take it easier whereas 2 years ago she was bored at my lack of adventure. What challenges have you faced this time? Getting to 'enough' classes to keep improving is hard at times, even though I only have myself, work and the dog to plan for these days. Long term knee pain (old injuries and early onset osteoarthritis) means I have to pace myself and ask for adjustments in classes. 1 - Talk to the trainers and Burn It members, arrange to see them at classes or for a review and copy what the long term members do. 2- Plan classes and rest days at the start of each week, so turning out is routine. 3 - Set short term achievable goals and reward yourself for sticking at it. Make it easy and be kind to yourself! What would you say to a member feeling how you did but looking to commit to Burn It Fitness? Do it, do it ,do it !!! Give it a month, ask the trainers for help when it is hard, lean on other members for encouragement, accept it is tough and tell yourself you are fantastic for making a change. You really will laugh through the effort and see results beyond what you can achieve on your own! In the run up to my wedding I really wanted to look and feel my best so I signed up for 6 months of personal training. 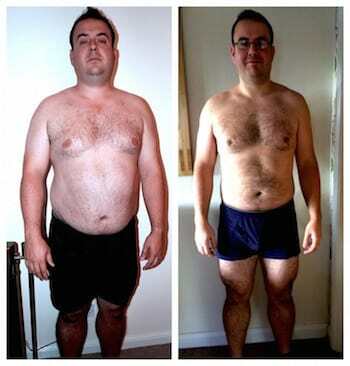 I dropped over 7% body fat and 1.2 stone. I can honestly say it was one of the best decissions I have ever made. Exercise has always been part of my life but I never really pushed myself. I have just signed up for another 6 months I loved it so much! Give it a try you won't regret it. I joined Burn It Fitness because I wanted to feel better about the way I looked and feel more confident in myself. Really becoming fitter is a very welcome byproduct of just wanting to feel better about myself, which I do, and did as soon as I started working out. I look better and feel like a different person. So far I have lost 2.3 stone with Burn It Fitness. I have been attending for about a year now and feel nothing short than a new man. My main goal was to be able to keep up with my kids and to get my confidence back. I have so much more energy now and enjoy exercise and seeing what I can achieve during each workout. I would highly recommend Burn It to anyone! After I gained a considerable amount of weight after an injury, I wanted to get fit again but also try alternative training methods, in particular Kettle bells. I'd seen Burn It's Outdoor Group Training on the heath around the corner from where I was living at the time. I went along for a taster session, enjoyed it and joined. After a while I started PT sessions, which is where my fitness levels really began to increase. Soon I was running again and enjoying it. Having become injured, again, and gained weight, again, I fell out of love with training and would make excuses not to do it. After a couple of years and feeling low I reached out to Sara. She helped me put things into perspective and with a bit of encouragement from Sara and Lou I decided to got for it and make the effort. 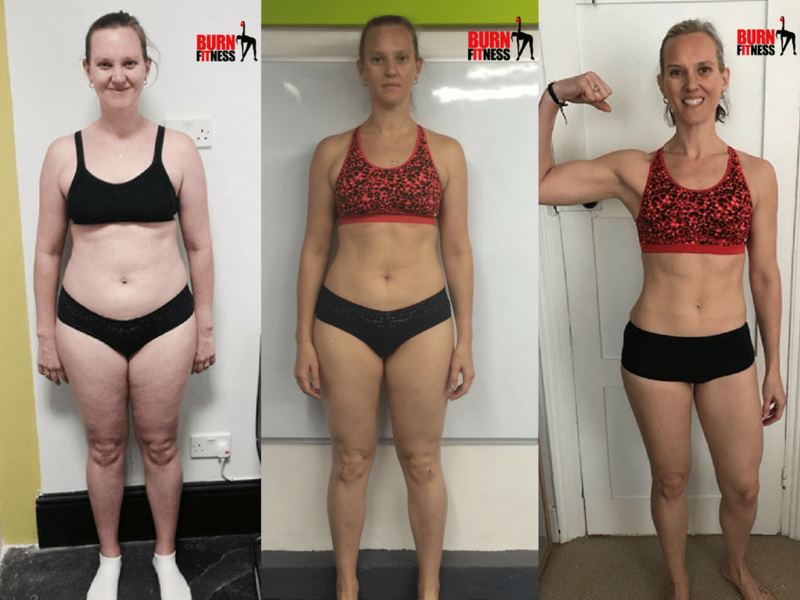 My biggest success was seeing the results of 4 weeks of hard work, losing weight, increased fitness levels and feeling healthier after I participated in the Intensity Boot Camp. I am so proud of what I have achieved ! It's very important you eat healthy and take the advice from the nutritionist. If you are reading this and looking at my before and after photos, feeling overweight, unfit, in need of getting rid of your jelly belly then give the Born to Burn It classes a go. It worked for me and many others I know! The trainers are fantastic and they will help you to reach your goal, so stop putting it off and book your membership. I am feeling awesome! I gained big improvements of my fitness level, strength and power. I can feel that a lot. When i started with Burn it Fitness i was not even able to do more then 3 reps of Push ups. Now its between 25-35. I also can feel how the body is starting to tone. You set goals and you are able to archive them with help of Burn it Fitness. That is something totally different to a "normal" gym and i enjoy a lot. The team at burn it fitness are fantastic. It was so easy to join unlike larger gyms and it is a very personal experience.Having a 2 month old baby working out is usually furthest from you let mind. However, Vibha was great in booking in a trial session and lock in future bookings for me. 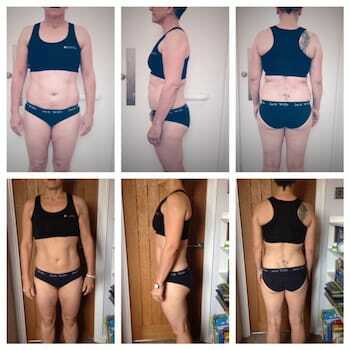 I tried it for a month and now I'm hooked!Sara, Louise and their team genuinely care about supporting you and helping you to getting fit and feel great. The trainers are friendly and supportive; pushing you to try harder. It is so reassuring to have my baby girl right there with me rather than in a crèche. She loves the music and bouncers. She gets plenty of snuggles from the trainers when needed. It's a great mums class with like minded people and can't recommend it highly enough. I am always amazed that whatever class I turn up to, whether it be pouring with rain or I am the only person who has turned up, I am always greeted with such enthusiasm and energy, so much so that I have renewed my membership for another year! I have been training with Burn It Fitness for a number of years but really wanted to focus in the run-up to my wedding. I felt incredibly happy with my results and confident on my wedding day (even after experiencing the Italian gelatto!) and know how much Burn It supported me in getting there. Burn It Fitness is now a regular part of my life and brings so much fun into it, I can't thank you enough! I have recently increased my group PT sessions with Burn It from 2-3 per week and I try and fit one long run and a short run into the schedule too. I enjoy all the group PT sessions. The trainers push you to do much more than you would at home or alone at the gym (seriously!). I also enjoy the variety of exercises we do in group PT and that despite shared components, each session feels very different. This was my second bootcamp. It was difficult but it was also lots of fun. I decided to sign up for a few reasons 1. to lose weight, 2. to be get fit and 3. to look my best for my sister upcoming wedding.For a strange reason I always get nervous before each class but I didn't allow that to stop me. It's was a challenging 28 days but if you remain focused and determined you will absolutely succeed. I wanted to let you know how thrilled I am with my before and after photos and thank you for all the support you have given me over the past 4 weeks. Louise is such a great mentor and I haven enjoyed every second. I move away next week and I only hope I can find something simlar to what you guys do in the States. Keep up the hard work and I will keep in touch on the Facebook page to get tips and recipes from you all. Thank you once again for helping me get my old figure back I cant believe I achieved this is just 28 days on a Bootcamp. Over the past 5 years my weight had been creeping up slowly and I needed a kick start to get back into regular exercise. My friend had taken part in one of the Intensity Boot Camps previously so I decided to take the plunge and sign up. It was a fantastic 4 weeks and I can't believe the results everyone got. The support was second to none and we had lots of laughs during the workout sessions. My legs were killing me for days at the start but I once I got over the shock I actually looked forward to training and making new healthier meals for my family. I lost 10lbs and my max press ups more than doubled in a month, from 17 to 43 which I am very proud of. I'm all booked up for the next course and looking forward to it already.